Cruise in spacious comfort to Fort Jefferson aboard the Official Dry Tortugas National Park Ferry - the Yankee Freedom III. A high-speed catamaran, our vessel transports guests 70 miles from Key West to the Park. Made up of seven small islands, it is one of the world’s most unique eco-attractions. 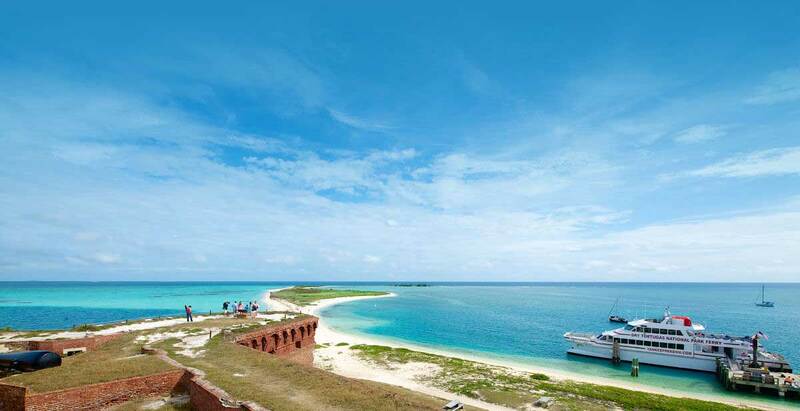 Its crown jewel, the historic Fort Jefferson, was once used as a prison during the Civil War. Explore and learn of its history with one of our guides and enjoy an array of activities. There’s something for everyone! Book Now and Explore Uncharted Territory at the Dry Tortugas National Park! During your voyage, you’ll enjoy the beautiful scenery of the Marquesa Islands, Boca Grande. Here are some of our suggestions on what to bring to make your trip memorable! 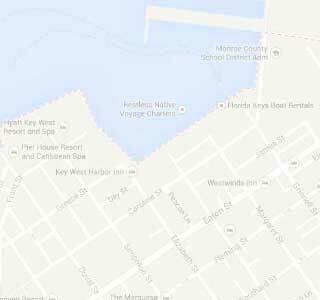 How long is the trip from Key West to Fort Jefferson? The ride on the Yankee Freedom III usually takes about 2 hours and 15 minutes. How much time do we spend at Fort Jefferson? You will have a little over four hours to explore and enjoy Fort Jefferson and the beaches of the Dry Tortugas. What time will we arrive back in Key West? 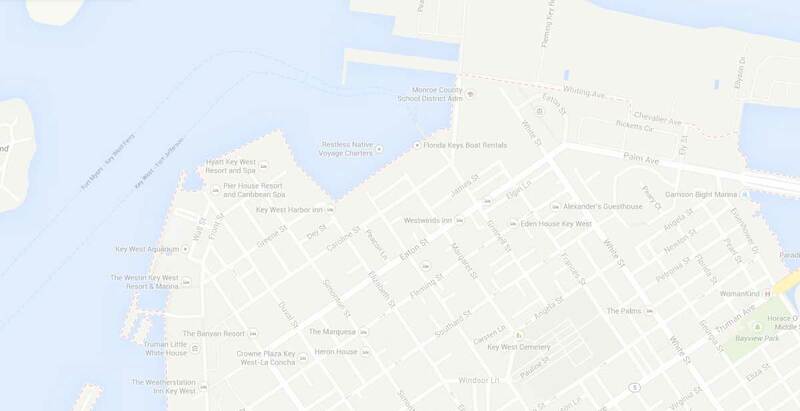 We usually arrive in Key West by 5:30 p.m.
Are trips available year round? The Yankee Freedom III travels to Fort Jefferson Dry Tortugas National Park year round, with the exception of Christmas Day. What is the cancellation policy? Are refunds given if there is inclement weather? If you plan to cancel your reservation, you will need to do so by 3:00 p.m. the day before your trip and 48 hours before your camping trip departure. Trips are not cancelled due to rain. The captain may cancel the trip or issue a warning if he feels the conditions are too rough. Yankee Freedom III passengers have the option of joining a 40-minute guided tour of the fort led by one of our expert naturalists. You’ll hear captivating stories about the fort, its remarkable history and its surroundings. If you love Key West snorkeling, then Dry Tortugas National Park offers some of the best snorkeling and skin diving in North America, just 70 miles from Key West and the Florida Keys. The shallow waters (5-15 feet) make snorkeling at the Dry Tortugas fun for everyone. No Key West beach trip is complete without visiting the best beach in the Florida Keys: Fort Jefferson Dry Tortugas National Park, located just 70 miles west of Key West. Whether swimming, sun bathing or just plain strolling, you will enjoy the crystal blue waters, swaying palm trees and soft, powdery sand of this island paradise. These beautiful, pristine beaches are a Key West attraction not to be missed. The seven tiny islands of Dry Tortugas are a vital layover for migrating birds traveling between South America and the United States making a staple in the Great Florida Birding Trail. Camping in the Dry Tortugas National Park is definitely an experience of a lifetime! Imagine sleeping under the stars, on an island 70 miles from civilization, with the warm tropical breezes blowing through palm trees. Dry Tortugas National Park and Fort Jefferson Ferry Service. Copyright © 2019 Historic Tours of America, Inc. All rights reserved. Yankee Freedom III, LLC is authorized by the National Park Service and the Department of the Interior to serve the public at Dry Tortugas National Park. Content from this Website may not be copied, downloaded, reproduced or used without written permission! Proud member Key West Attractions Assoc.